The Pegasus Thermal Control Composite Construction Shot Sleeve was developed to solve one simple problem – distribute heat quickly and evenly. The Pegasus Steel Plunger Tip has been designed for durability while still maintaining competitive pricing. The Pegasus Plunger Rod is built for ease of use, durability, and optimization of cooling for the Pegasus Steel Piston. 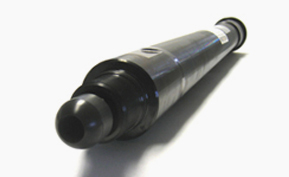 Pegasus Industries is a manufacturer of Shot Sleeves, Steel Plunger Tips, Plunger Rods, Nozzles, Torches and Adapters. 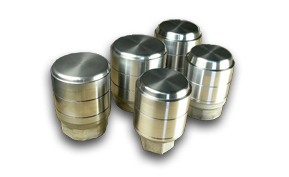 We provide world class manufacturing of precision engineered and manufactured tooling. We have CNC honing equipment capable of providing fast and efficient stock removal with tight tolerance inner diameters. Our machining services include milling, turning, CNC honing, fabrication and welding. Pegasus Industries serves the die casting industry, warm and cold forming industry and the oil and gas drilling industry. Pegasus is recognized for outstanding service, value, quality and reliability with our full service machining and manufacturing capabilities. We are an ISO 9001:2015 certified company. 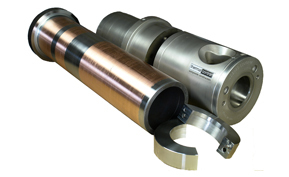 With over 30 years of experience and 10 patents on our Thermal Control Shot End System, we can help increase hot and cold chamber die casting effectiveness with cycle rate reduction, tooling life, reduced downtime, and improved casting quality.